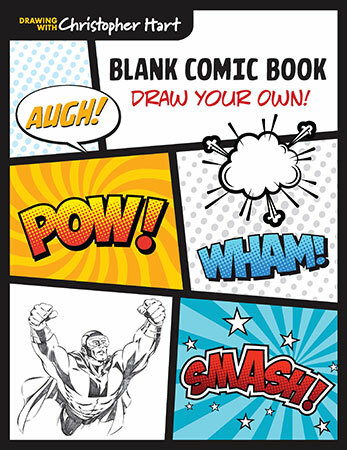 Let your story unfold in words and images with this draw-your-own-comic-book blank journal. This versatile book allows aspiring comic book, manga, and graphic novel artists to create their very own story through words and pictures. Each page offers blank, black-framed panels formatted in the comic-book style, offering maximum creative freedom. A 4-page intro with instruction from Chris on drawing comics is included as well. Comics artists can use this to flesh out story ideas, while beginning artists can experiment with drawing in the comic/graphic novel format. The possibility for self-expression is endless!